Getting the time-clock off the wall was not easy; I had to remove the logic board from shock-mountings in order to get to the mounting screws. Disappointingly, it turned out to be quite heavy. Memo to future-self: make sure backing plates are aluminum not steel before you estimate shipping. Since it was fragile and old and I didn’t want to remove the glass bezel, I decided to make a box for it, and line the box with cut foam. I have plenty of cut foam from other projects, a hot glue gun, and a hot-wire knife, so that was pretty straightforward. Urethane glue and a little brad-gun, with pieces cut on a table-saw. Total time, about 20 minutes. The total weight of the box and the clock was 35lbs, which is a heck of a lot to ship internationally. It came out to $150, which was more than the item cost, so I agreed to split the cost with the buyer. I got an email from him today that it arrived safe and sound in Amersfoort, where presumably someday it will adorn another wall. 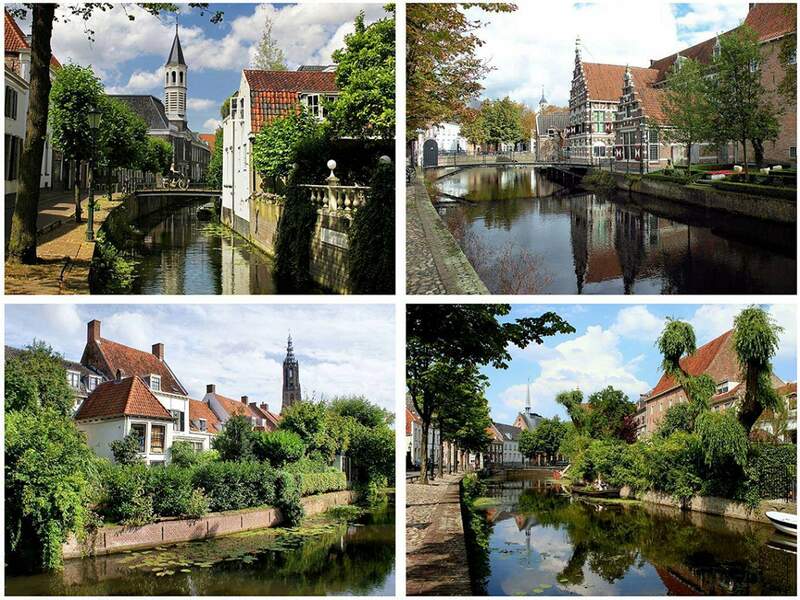 I was also treated to a few images of Amersfoort, which looks like a lovely place indeed! The international mail system is pretty impressive, and they appear to be slowly converging on standards for package-tracking. Some of the packages I send, I can track the whole way. Others vanish and reappear. Or vanish and never appear again. When I was a kid, and we went to France in the summers, we’d go to the used bookstore and dad would give us each $20 (which is a lot of books!) to buy books, then we’d box them up with strapping tape and ship them by boat – usually a month and a half before we left. The boxes of books would usually arrive after we’d been there for a few weeks. It was some kind of amazing christmas, to get a huge legal-size box of books, even though they were from me to me. Since the lid of this box was screwed down with stainless steel torx screws, I used a marker to indicate all the screw-points so that a customs official could easily open the box. That was my way of making sure none of them would bother, and they didn’t. What a beautiful place for your clock to now reside! Your packing is fantastic, really glad to hear no one opened it. 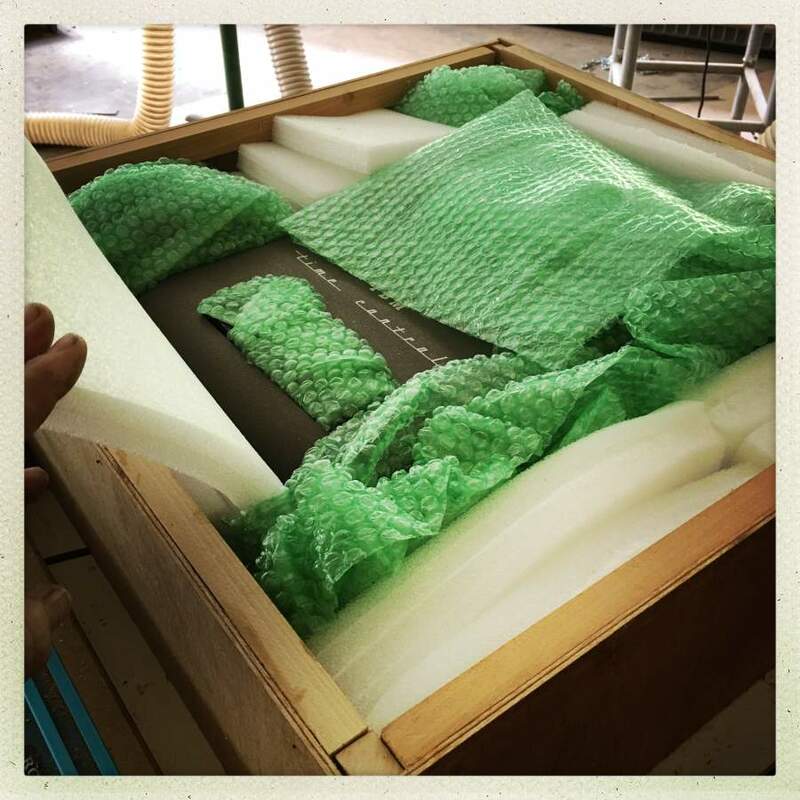 Occasionally I ship or receive something fragile from overseas and I admire your packing very much. I am not surprised to hear the cost; for a while there, international postage from the US was really reasonable but that didn’t last.